Get a full 50% off your Individual subscription for an entire year! 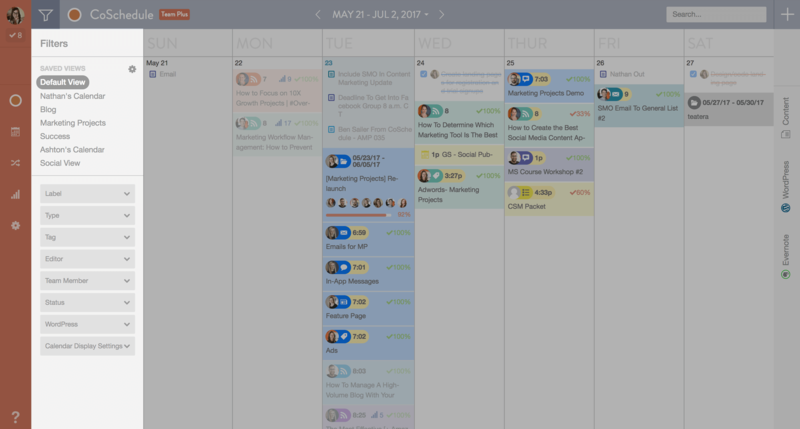 Include some CoSchedule's review resources (or a few of your own). We've got high-res graphics, screenshots, a video overview, and talking points to make designing your review easy peasy (see below). But feel free to use your own graphics, videos, etc as well! Submit your review. Submit your published CoSchedule review here. Once review has been reviewed, we'll apply the 50% discount to your Individual subscription. Hit the easy button! 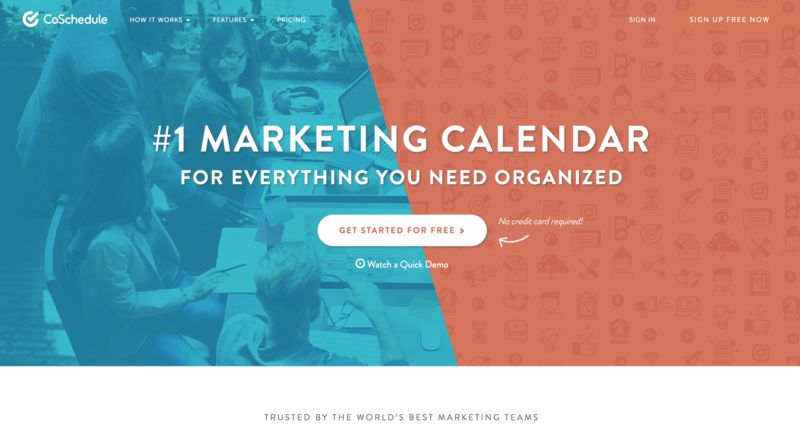 Download CoSchedule's review resource kit for high-res screenshots, videos, logos, talking points, and more for your CoSchedule review. Not sure where to start? Check our resources below! We've got high-res graphics, screenshots, a video overview, and talking points to make writing and designing your review easy peasy. 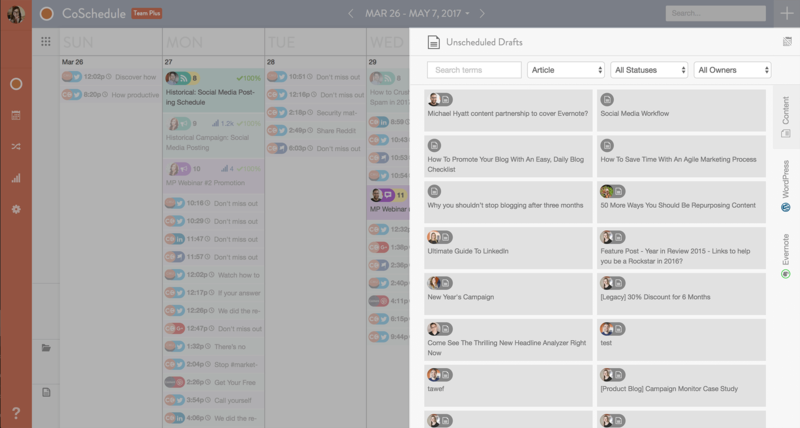 Eliminate the endless email threads, piles of sticky notes, and the dozen and half moving pieces. Focus on the real work of writing top-notch content AND growing your audience. 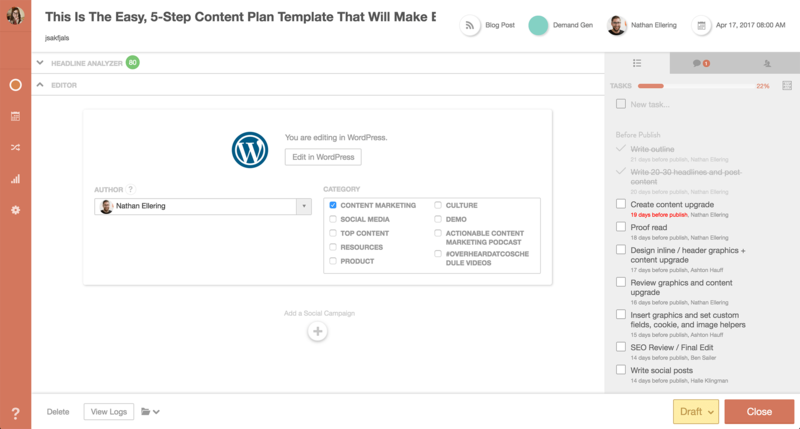 Sync all your favorite tools and social platforms into one place, so you can focus on driving traffic to your blog (not jumping from one tool to the next). 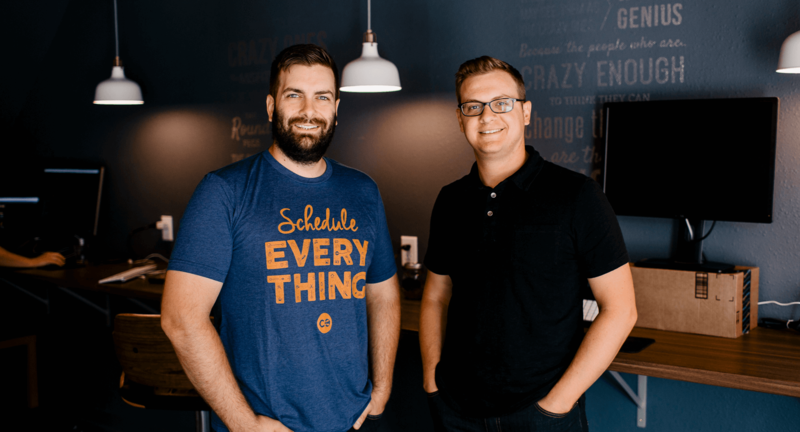 CoSchedule integrates with tools such as WordPress, Google Analytics, Evernote, Google Docs, MailChimp, Zapier, and more! 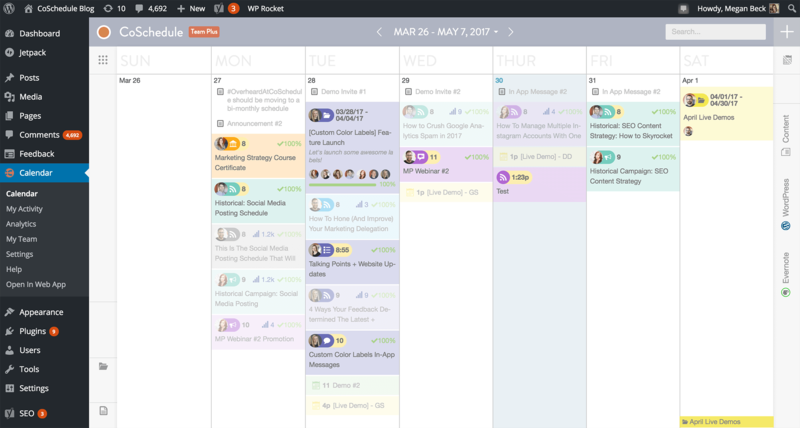 Eliminate the guesswork In social scheduling. With so much competition, it's tough to get through the noise. Best Time Scheduling spaces out your messages for maximum coverage, getting your the most social engagement every time. 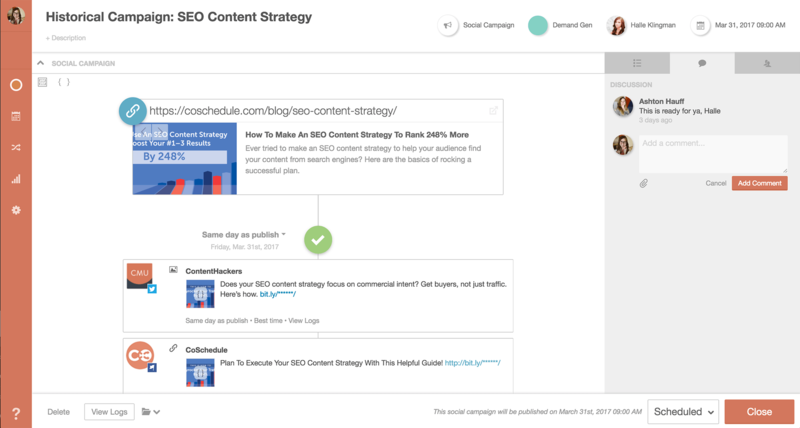 Automatically Re-Use Your Best Social Messages without the manual work. ReQueue fills in the gaps of your daily schedule (with intelligence), not manual guesses! 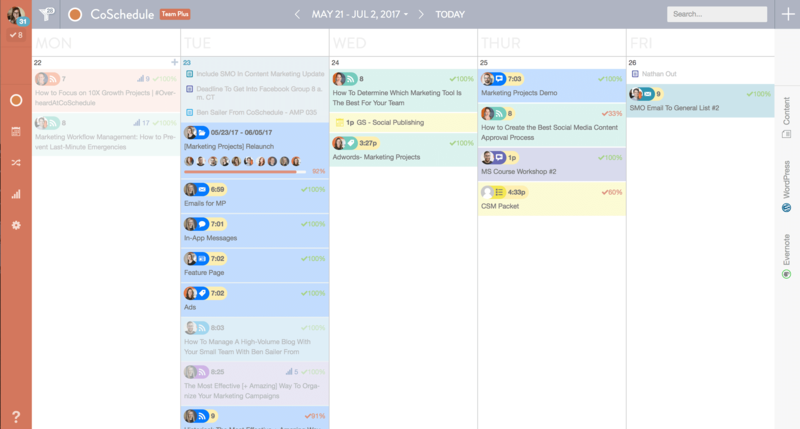 It takes into account your entire social schedule, uses Best Time scheduling to promote your messages at the most optimal times + finds the gaps in your schedule (so you don’t have to). 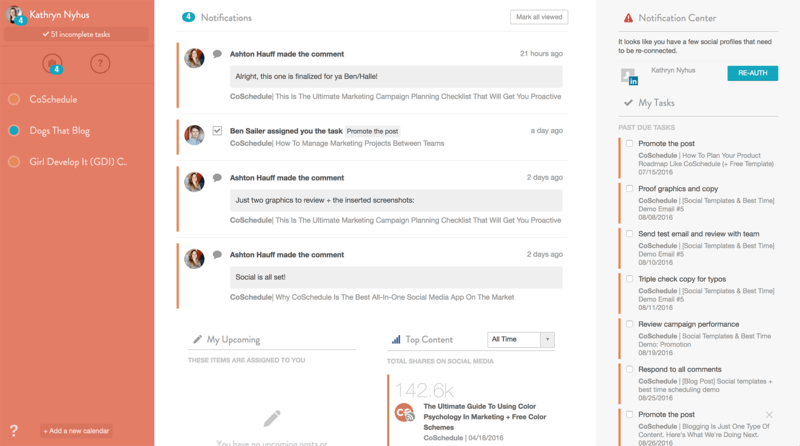 Refine your social strategy (for every profile) with actionable insight. 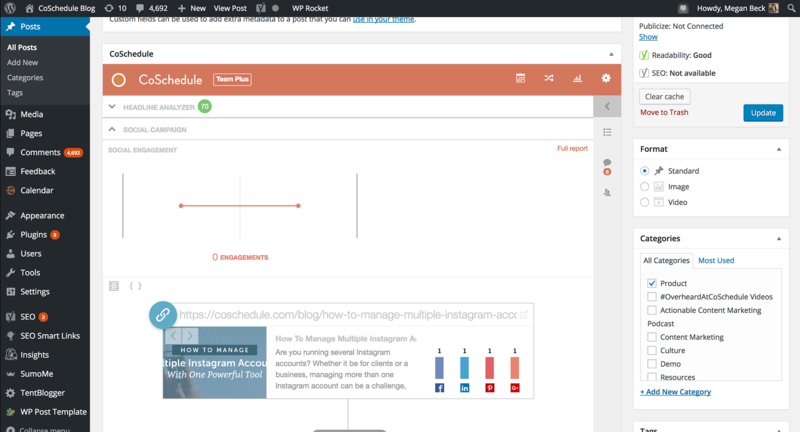 Track your social performance across multiple profiles so you know what's working (and what isn't). 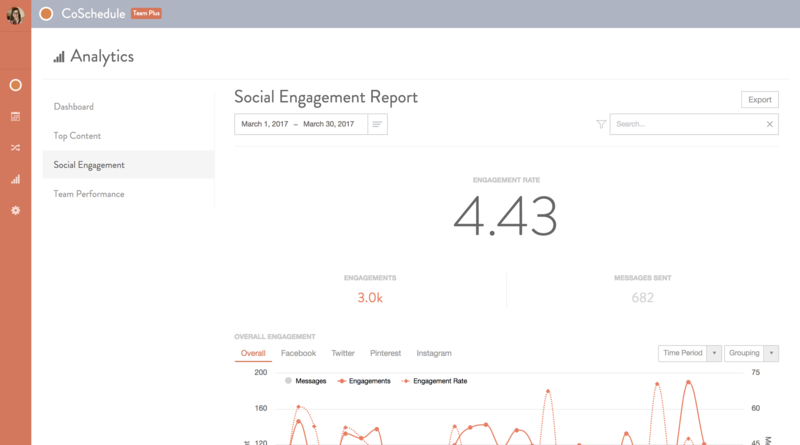 Use real-time data to make updates to your social strategy, so you can continue to drive results. Stop guessing at what will (or will not) resonate with your followers. 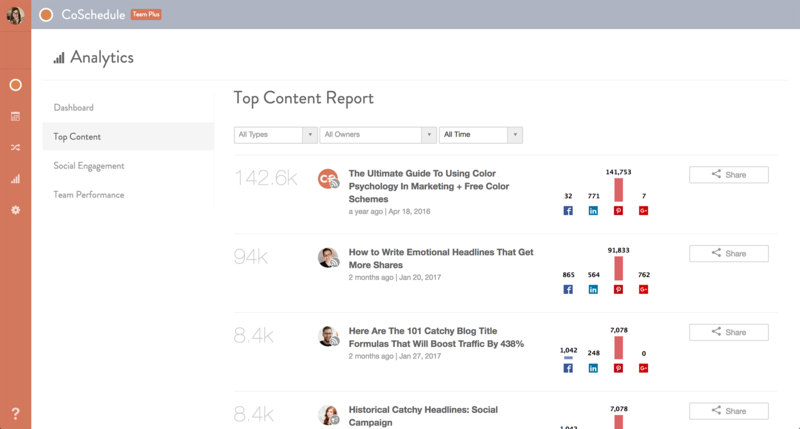 Utilize your social network reports to identify top messages AND create content you know your audience will love. Can any CoSchedule paid user write a review? Obviously, we wouldn't stop you, if you want to sing our praises ;) However, in regards to the 50% review discount, CoSchedule’s write a review program is for Individual customers only. Does my review have to be in the form of a blog post? Ideally, yes. However, if you'd prefer to do it via another format (Youtube video series, podcast, etc), those options work as well! Where should I send my final review for the 50% discount? Submit your published review here. Once we've reviewed your review, we'll apply the 50% discount to your Individual subscription for an entire year. How long does the process take once I submit my review? 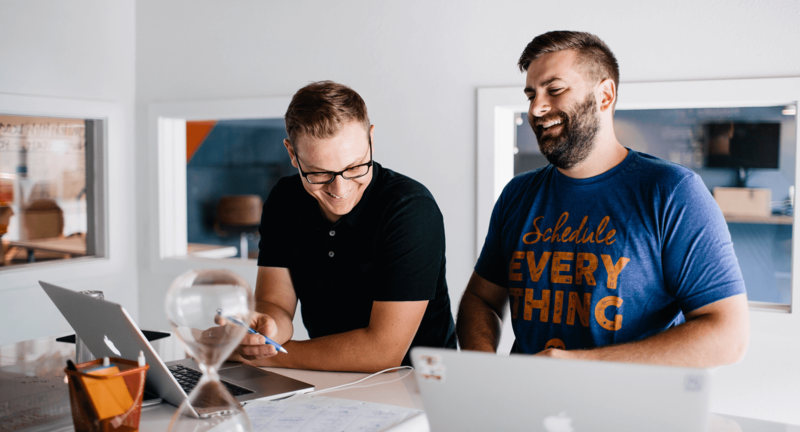 Email our team at support@coschedule.com, and we'll get back to you ASAP!